We spent a few days on Tramway moorings finishing off modifying the wiring for the solar panels, making brackets for the boat pole sanding down said pole and giving it a dose of Danish Oil. We spent the afternoon and evening with Barry & Ruth today who kindly drove us up to Atherstone to move our car. We called in at Braunston on the way as Barry needed to visit Midland Chandlers so we also visited The Boathouse for lunch. 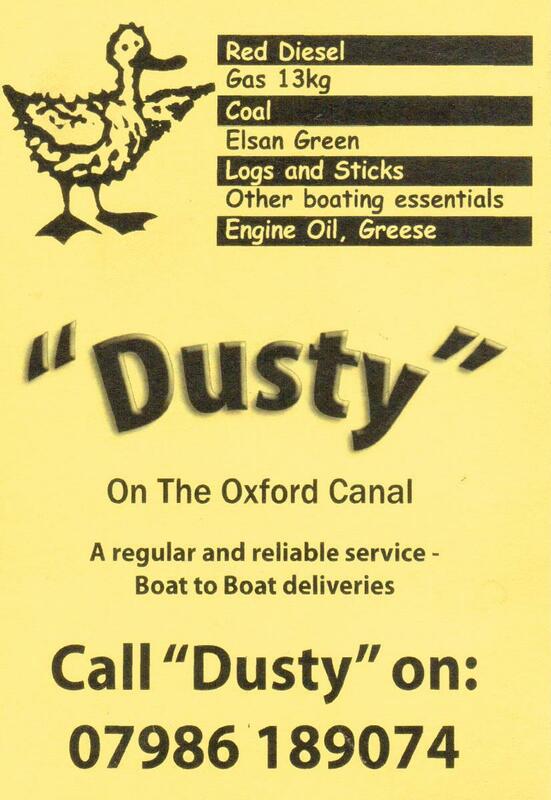 This evening Dusty, the coalboat, arrived but had sold out of diesel so an early morning call was agreed so they could moor alongside us and get their tank replenished. Just before 7:30am I head the sound of Dusty reversing alongside us in the early morning sunshine, as the fuel tanker had arrived. Fortunately I was dressed, and in no time they had diesel and so did we. Not long after, it started to rain heavily but about midday the sun came out and we were able to make a dash for the town where we got water & disposed of rubbish, went through the lock and found a spot on Castle Quay for a couple of days. Today is Banbury’s market day so we bought fresh fruit and veg, and then I caught the S4 (Oxford) bus and visited Sainsburys to get a few more items. This afternoon Joy has gone to a Watercolour Class at The Artery. Tomorrow we plan to head off to Cropredy.